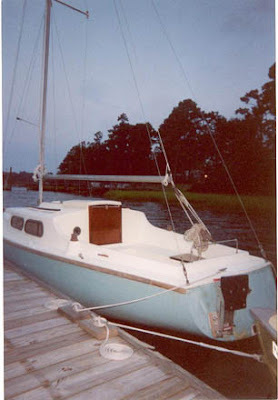 This is Mark Stipetic's Alacrity "Retrograde" which he has been fixing up after some Hurricane damage. Mark lives in Wilmington, North Carolina, USA. "The guy I got it from - his dad bought it about 1973. 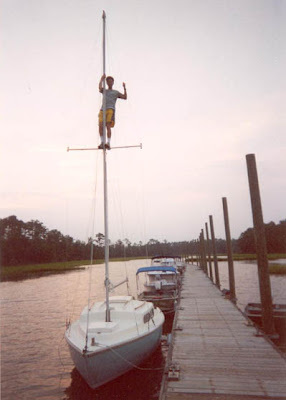 He sailed it as a boy in the Pamlico Sound, North Carolina. 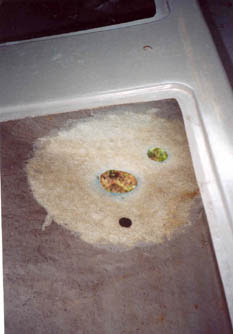 It had not moved or been sailed for 10-12 years (in salt water the whole time). 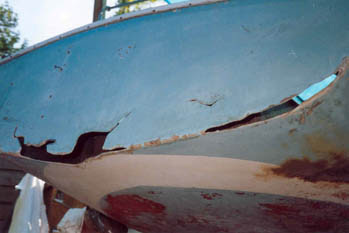 The boat was hit by many hurricanes -"Floyd" and "Fran" were direct hits on it. "Cape Fear" is right here. Lightning finally sunk the boat. 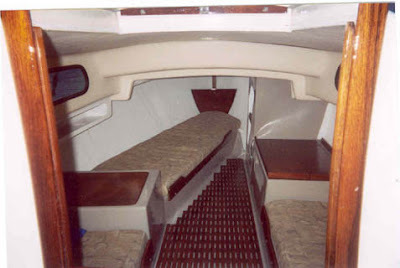 It came down the shrouds and put two holes in port side and one in the starboard side. After much thought, I decided to salvage it. It was free. I estimate I put $750 and 2 years work into it to get it looking and sailing good. There is no electrical system in it though. So no running lights yet. I'm working on that."